If you have used DBR, we would love to hear from you! Click here to give us your feedback. 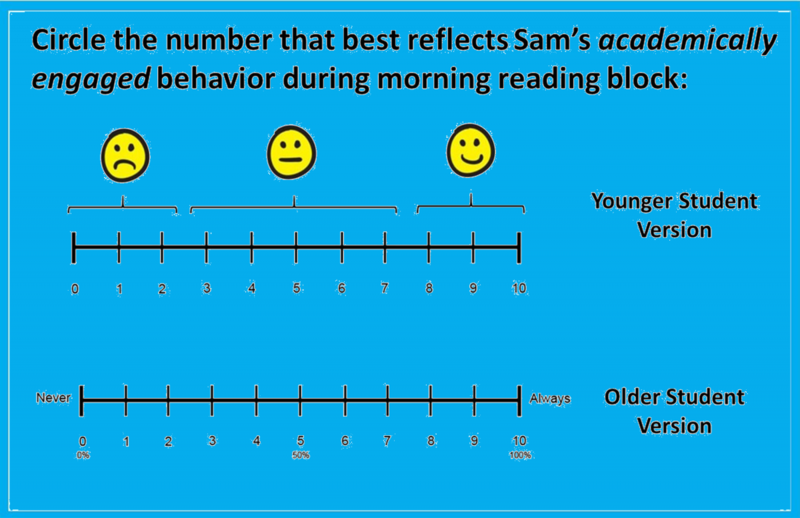 DBR involves rating of behavior following a specified observation period, and then sharing of that information to inform decisions. DBR offers many options to link connections across assessment, intervention, and communication uses. 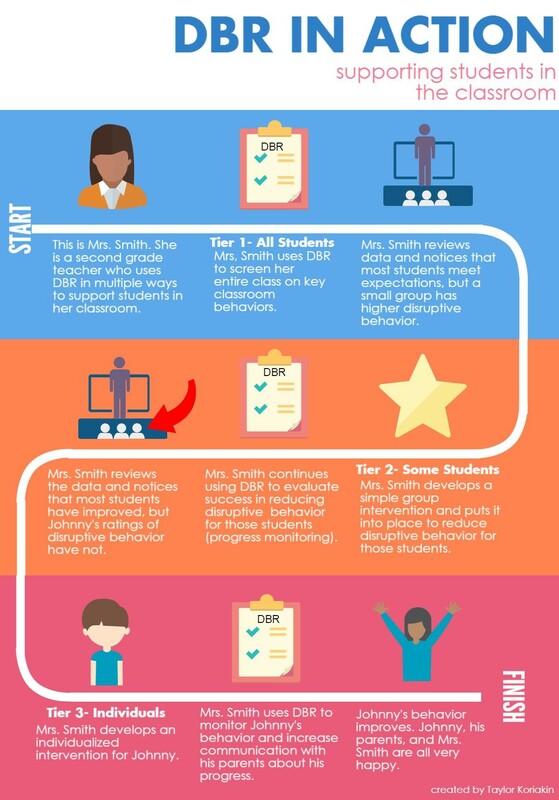 DBR provides a simple and inexpensive option (see www.mydbrconnect.com) for frequent feedback about important behaviors, facilitating communication among students, parents, and educators. Most importantly, DBR is evidence-based! What can DBR look like? DBR is now available for use online through PAR, Inc. DBR Connect is an electronic data system designed to store, analyze and report behavioral outcome data using Direct Behavior Rating. Visit www.mydbrconnect.com to learn more!